Throughout most of my adult life, I've struggled with having low iron levels and have suffered from bouts of anaemia and fatigue as a result. Iron supplements though are very hit and miss, but I think I've finally found some that work for me! Iron is one of the most important minerals that the body needs a good supply of every day. It's essential because iron is a vital component in making the red blood cells that carry oxygen around the body. This helps to maintain normal energy levels, reduce tiredness and fatigue, keep your immune system healthy and stabilise normal cognitive function. However, most of us struggle to get enough iron from our daily diet alone, and women under menopause age and young females are especially prone to iron deficiencies as most of us have periods or extra nutritional demands, such as those who are pregnant or breastfeeding. Vegetarians, like myself, and vegans are also at risk because although iron is found in many green vegetables such as Broccoli and Spinach, the body does not absorb it as easily as it does with iron that's found in red meat. 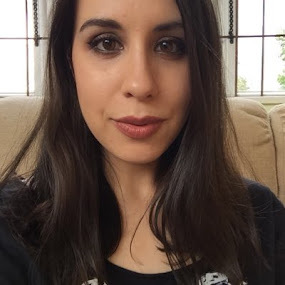 When I first had some blood tests done as a teenager, I was immediately prescribed some heavy duty iron supplements which came in a tablet form. These were not only hard to swallow (they were HUGE! ), but they caused me to have the most unbearable stomach cramps, which were so bad that I had to stop taking them. I was put on a lower dosage which I put up with for a few years, but these still gave me a lot of stomach problems and although it's TMI, I had constipation issues as well which isn't fun, let me tell you! 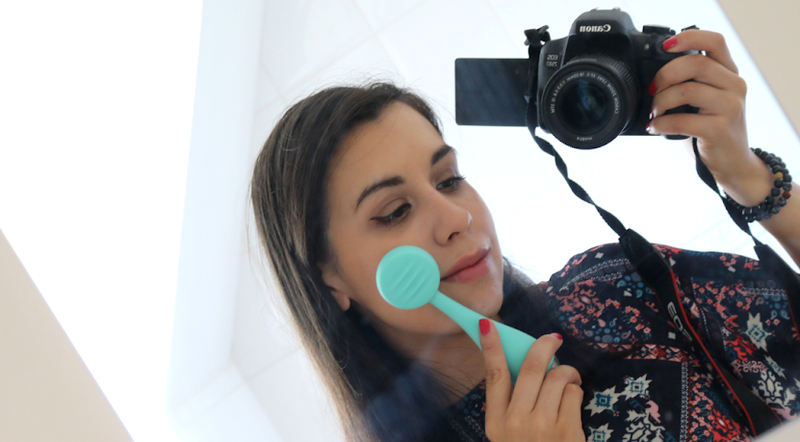 So, after getting fed up with the side effects of prescribed iron tablets, I tried out a bunch of different brands and formulas that I purchased from health shops, all with varying degrees of success until I tried Spatone. 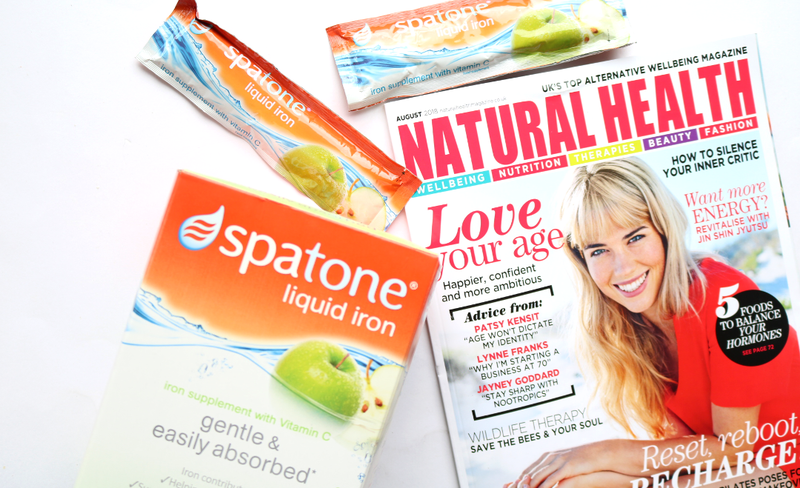 Over the past six weeks, I've been taking part in a trial of Spatone Liquid Iron Supplements, where I have been consuming one packet per day. Spatone is made from 100% natural iron-rich water that's sourced from the Trefriw Wells Spa in Snowdonia, North Wales. They have two versions available; an Apple flavoured one that contains added Vitamin C to enhance absorption and an Original one that's just iron-water. As it's a liquid iron supplement, it's a lot more gentle on the stomach than iron tablets and has been scientifically proven to be a highly absorbable source of iron with an average absorption rate of 40%. This might sound low, but as the body only absorbs around 5-20% of the iron that's found in foods, it can help you to reach your daily iron requirements as part of a varied diet (each Spatone sachet contains 5mg of iron). 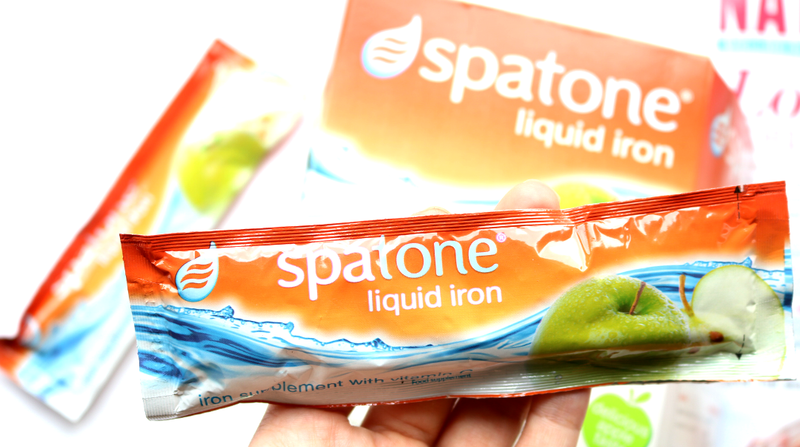 Spatone is packaged in individual sachets and it's recommended to take one a day as a top up for your body's iron levels. The brand suggests mixing it with fruit juice and I would highly recommend doing this because it doesn't taste good on its own (I tried it just to see what it was like and the Original flavour is like drinking liquid metal - the Apple flavour is much more palatable!). However, once mixed with juice, you can't really taste it. Iron supplements are best taken on an empty stomach, and the Vitamin C in your juice helps the body to increase the absorption of the iron. If you absolutely can't take it on an empty stomach, avoid consuming it with carbonated drinks (phosphates), tea (tannin), coffee (caffeine), dairy, raw cereal (phytates) and any supplements that contain calcium, as all of these will inhibit the absorption rate. 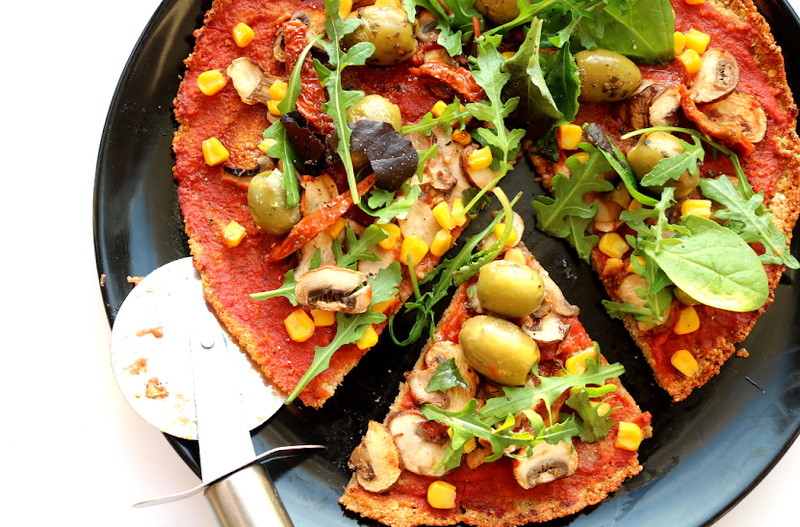 Allow a 30-45 minute gap from when you take it to eating a meal for the best results. 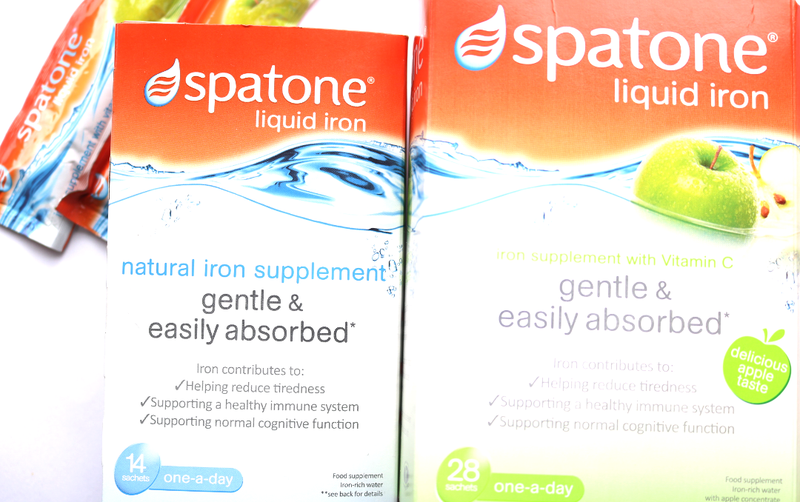 Spatone is by far the best iron supplement that I've ever taken. I have had no problems with any side effects such as nausea or stomach cramps/complaints, no issues with constipation, and after six weeks of taking it daily, I have noticed a slight increase in my energy levels - which for someone who regularly suffers from fatigue, this is a really big deal! I'm so happy with it that I've since purchased another four months' supply, as I feel it may well be a long-term daily supplement for me, and I'm curious as to whether I'll start to see any more differences in my overall health in the future from taking it on a regular basis. 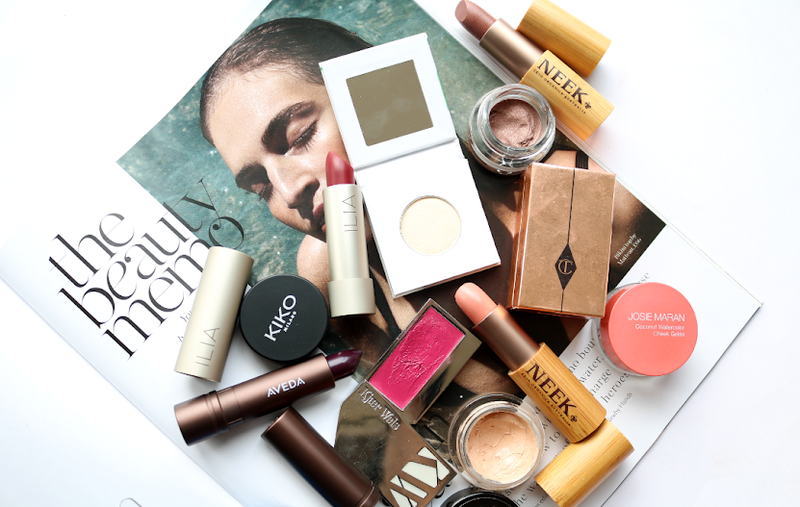 I'll be sure to update this post if I do! Do you take iron supplements?